Apple Mountain Music is the premier provider of folk music instruments and instruction in the Southwest. It is also a great place to hang out, shop for the latest accessories and talk music. We carry a variety of Celtic harps for professionals as well as beginners. We also feature a wide range of instruments for playing folk, Celtic, ethnic and traditional music, including mountain dulcimers, hammered dulcimers, bodhráns, dobros, mandolins, banjos, bouzoukis, guitars, Irish whistles and flutes, harmonicas, ocarinas, autoharps, psalteries, ukuleles, fiddles, recorders and Native American flutes. Plus, you will find music, books, CD’s, all the accessories you could possibly need and more! We also offer a variety of workshops and events and an outstanding network of instructors. We are the only store specializing in folk music in Albuquerque and we have been serving the local folk music community for years. If you are looking for a very special and unique music store that knows your folk instrument and treats you like family, you have found it at Apple Mountain Music. Thanks for visiting! The classroom at Apple Mountain Music is available for instructors, workshops and events. Contact us for availability and scheduling. 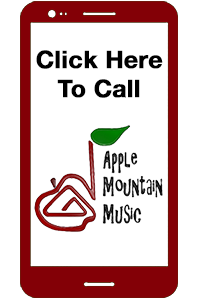 Attention Music instructors and performers: In order to provide accurate information to our customers needing instruction or performers, please provide your current contact information and details to Apple Mountain Music. 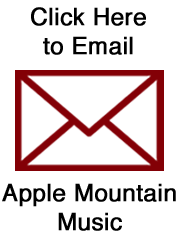 We will be happy to send referrals your way!